Over the summer holidays, there seem to be as many travel posts as scarf related ones, so keeping the recent trip to my later mother's native Finland short. I have spent many happy childhood summers in this beautiful country, mostly by the lake district, but have also very fond memories of Helsinki. The purpose of this trip was not a vacation, but we stayed for long enough to visit some of my favorite spots.. 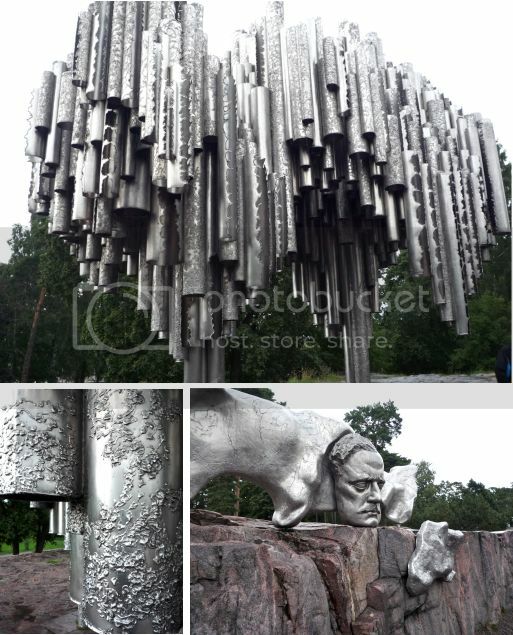 The Sibelius Monument, located in the picturesque Sibelius park in Töölö, honors Finland's composer Jean Sibelius, who has captured so deeply the essence of Finland in his music. Enjoying nature is my preferred 'sight-seeing' activity in Finland, and another beautiful place is the Kaivopuisto park. It reaches down to the shore of the baltic sea, where on a sunny day, the marina is a lovely place to have coffee in one of the many kiosks or cafés. The Esplandi is buzzing with life throughout the summer months, it's many outdoor cafés, concerts, shops and restaurant terraces invite people to enjoy outdoor life during the relatively short summer. On the north side, you'll find modern finish design shops, Iitala, my favorite, but also Marimekko, Pentik and Aarikka. 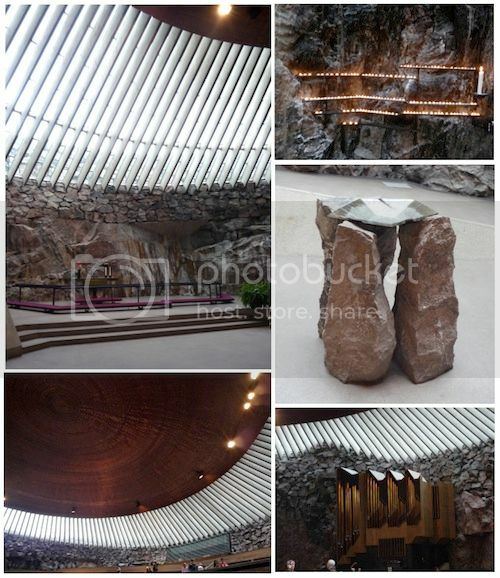 My most favorite church of all is the Tempelliaukio (Lutherinkatu 3). Carved into an enormous rock, it has bare, untreated walls, a most beautiful copper ceiling and a very special atmosphere. I used to love going there as a child, and even though it was crowded with tourists this time, it still remains a magical place. Lovely photos as always MT.I hope your trip was a pleasant one. 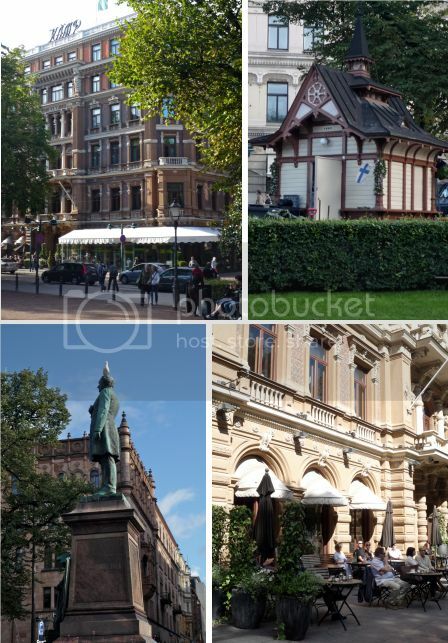 Such lovely photographs, I have yet to see Finland. Ah and now I know where your wonderfully tall and leggy physique comes from! Oooh your trip looks lovely! I often think about visiting Helskinki and then travelling on to St Petersburg!! What a beautiful entry, my dear MT, firstly because of your dear Mum and the special memories Finland holds for you, and also for me because we used to visit Helsinki when I was a child and we lived in a nearby country, far less welcoming and open back then. I have wonderful memories of the people and the places, the beauty and energy of it all, and was particularly touched to see your photos and story. Dear MT, your posts about your lovely childhood memories and your love of family are always my favorite. Thank you for sharing. It's a joy to read this post .I adore the music of Jean Sibelius and for that reason i'd love to visit his birthplace and also the modest house where he lived in later years .We do hope to visit in a year or two , so i was interested to read more about Helsinki. Welcome back, my dear MaiTai! You were truly missed! 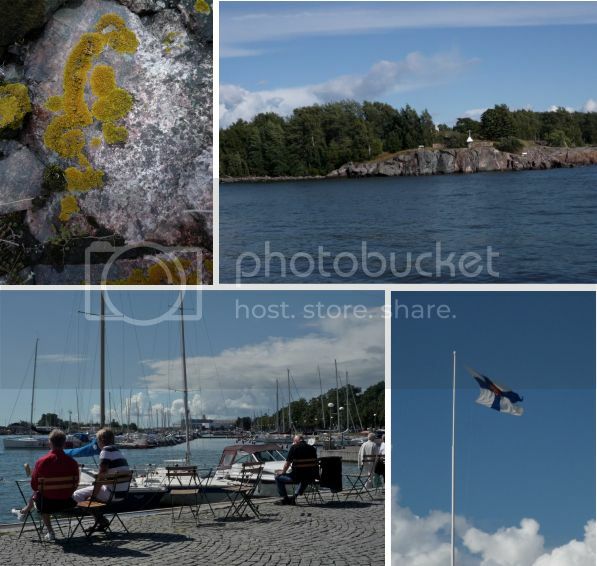 Thank you so much for sharing some pictures of your beautiful Finland with us. Finland is a country I very much would like to visit. Sending you lots of warm hugs from another nordic country, Manuela. Thanks you for sharing the lovely pictures of Finland. I hope you had a nice time there even if it wasn't for vacation. Also, you look beautiful - which style is your scarf tied? MaiTai, I was happy to learn that you were able to get some sight-seeing in on your trip. Your photos are gorgeous. I can almost feel the cool breezes coming off of the water. Not being familiar with Tempelliakio, I clicked on the link: amazing. DH's mother is from Norway, and it's on "our list" to one day visit Finland, Norway, and Sweden. Thank you for the little teaser. ;-) Also, we now learn from where you got your beautiful golden hair. What a fabulous vacation--revisiting places dear to one's heart and history should be done more often, I think. You look stunning comme toujours. I was so happily suprised to find out that you have Finnish roots! I've admired your looks, style and blog for a while now and being a Finn myself, I couldn't be happier about your post today. You can get there by tram number 6 from the city center in 15-20 minutes. Thank you MaiTai, I was very inspired by your posting! Sam, it's a cowboy knot secured with a shawl ring, where one triangle managed to slip over the ring! 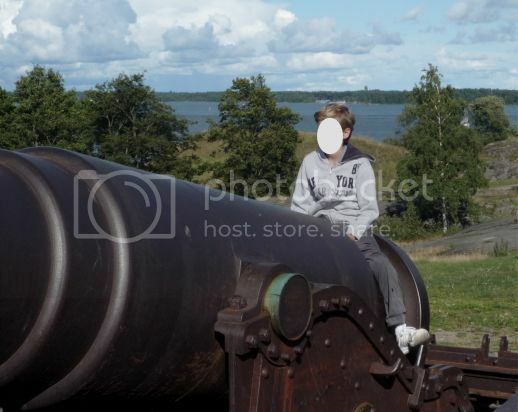 Dear Maitai, I am so glad to hear you enjoyed your recent trip to Helsinki with your family! Being finn -as you know- myself I truly loved all your descriptions and pics from Helsinki. Wow, I think you made way better than many local traveling promotion agencies, LOL! Thank you again for the inspirational post!! Hoping to see you soon again! Thank you so much for this informative mini-travelogue. I am going to Helsinki in July (and Denmark, Norway and Sweden before that) and am going to follow your advice. 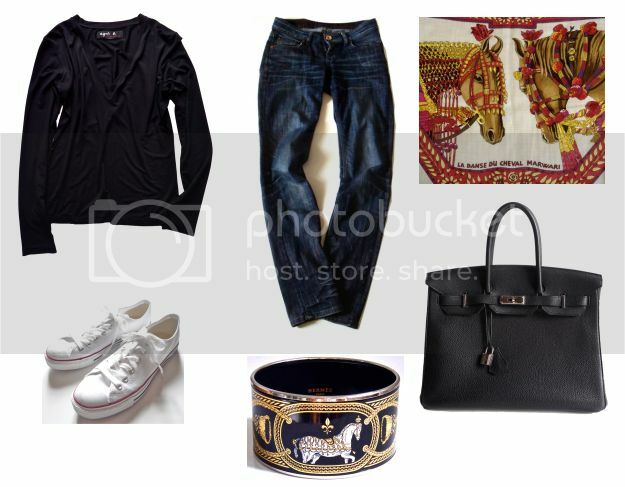 Can you give me any tips on what to wear in Scandinavia in late-June early-July? I am wondering if a 90 silk carre is appropriate or too formal (also too prone to destruction by rain) or would a cashmere GM be useful (is it that chilly?). Any hints would be so appreciated. A cashmere GM would certainly be useful. Weather or not to wear a silk scarf depends on what you are planning to do and to wear... knots will further help you dress up or down. A cowboy knot is always casual, a shoulder wrap beautiful for evenings etc Have a great trip! Thank you! Excellent advice. 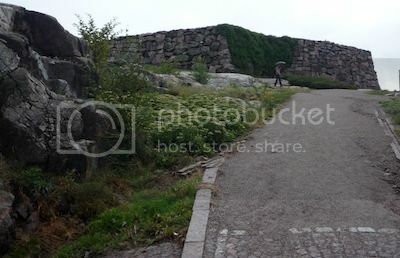 I will try to take some photos in Helsinki for your MaiTai collection collage! That would be wonderful! Have a great trip!